Despite approval by the Food and Drug Administration (FDA) in 1994, acceptance of dental lasers into the mainstream has been slow going. This may have more to do with the cost of equipment and the wholesale change to some dental procedures, since the benefits from a patient’s standpoint are enormous. Imagine freedom from anesthesia, pain, and drills during a dental appointment. Some of the biggest contributors to dental anxiety vanish with dental laser techniques. For some, it’s perhaps easy to think of lasers as a single device. However, in development since the 1960s, lasers use a variety of source materials to generate light energy beams. Each may have its own intensity and wavelength, leading to applications even more varied than the laser sources. It wasn’t long after the emergence of the first lasers that dental applications were envisioned, as were other medical uses. The development of microchips, diodes, and computer technology in general permitted better control over therapeutic lasers. Not surprisingly, dental lasers have two broad divisions, based on the tissues they treat. Hard tissue lasers work on tooth enamel and bone, being able to remove these hard materials with a high degree of precision. This characteristic makes these lasers an obvious replacement for the traditional dental drill. Hard tissue lasers can also prepare teeth for composite bonding, anywhere that removal of small amounts of tooth enamel is needed. Soft tissue lasers target your gums and gum health. These devices can kill bacteria when you have gum disease, promoting the healing and recovery from periodontal deterioration. Soft tissue lasers are self-sealing, so there’s less bleeding and nerve irritation when compared with traditional methods. There are laser systems that combine both hard and soft tissue treatment capabilities, and you’ll also see diagnostic lasers emerging. These can map the inside of your mouth with great precision, sparing you from the discomfort of traditional dental impression molds. Hard tissue lasers can often be used without local anesthetics that are essential with conventional dental drilling. You’re also spared the sensation of a drill bit against the hard surface of your teeth. That’s enough for many patients to warmly welcome dental lasers. If you have sensitivity to hot and cold food and drink, hard tissue lasers can seal the tiny openings in your tooth structure that enables this sensitivity. As well as treating periodontal conditions, soft tissue lasers have some purely cosmetic uses. If you’ve got a gummy smile, laser treatment can reshape your gum line to expose more tooth, giving your smile a longer, whiter exposure. For children who are tongue-tied or babies with limited tongue motion that impairs breast feeding, lasers provide a quick option to traditional frenectomy, also a treatment for some speech impediments. These only scratch the surface of what dental lasers can do, and new techniques emerge often. 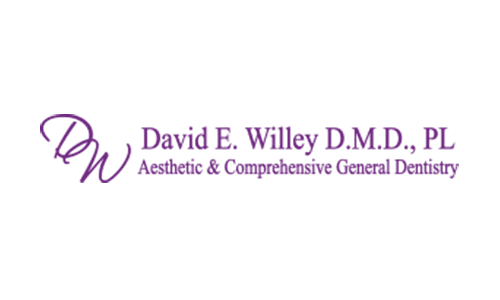 The principle benefits for you as a dental patient are less time in Dr. Willey’s chair and less pain associated with dental care. Call or click today to set up your next appointment.